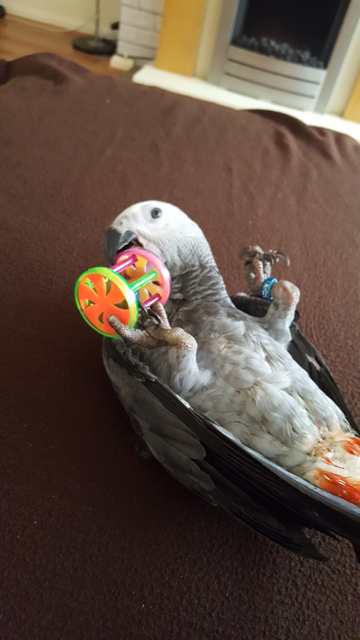 We recently bought a baby African grey, Dexter, after caring for cockatiels for 6 years. He is now 14 weeks old and just adorable! We have managed to get him to eat Harrison's pellets and he is showing an interest in some fruit. He today had his harness on for the first time and didn't mind it. 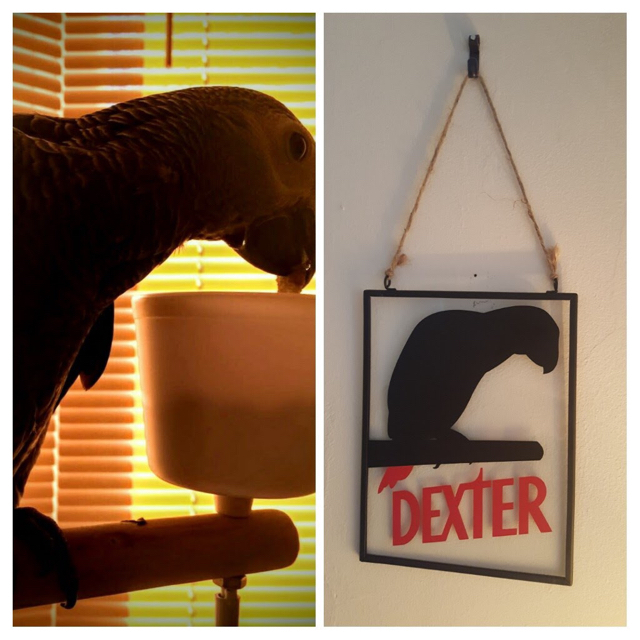 We also have an avian bird lamp above his cage. Any general tips would be great! Looks like a very happy great bird. Dexter looks like one happy adorable grey! Welcome to the forum. I'd like to try to put a harness on Sheeba, but I might lose a finger or two in the process. Dexter is a real sweetie. I used to put a harness on my first grey (a hyperactive male) and tried it with Chyloe (a calm female) when she was a baby. She tried to bite the stuffing out of me. That was her way of telling me no way no how was she going to wear a harness. Instead I have to use a travel cage to take her places.